Following the US midterm elections, which saw Congress split between the Democrats and the Republicans, the US dollar took a tumble and gold rallied. Gold rallied on Wednesday (November 7) after the US dollar caved under pressure following US midterm election results that saw Congress split between the Republicans and the Democrats. The yellow metal was given space to climb when the dollar index fell more than half a percent thanks to the split in Congress, which ended expectations for a major fiscal policy boost. A weaker US dollar boosts gold demand as it makes the precious metal cheaper for investors to hold versus other currencies. “This outcome of the mid-term elections was expected by the financial markets. It would have been a big thing if gold was surprised by that,” said Julius Baer analyst Carsten Menke. “Today we just see gold moving in lock-step with dollar, the dollar is down and that is what is mirrored in the gold price,” he added. Last night’s election resulted in the Democrats winning control of the US House of Representatives, which will allow them the opportunity to block US President Donald Trump on items such as a push for a further round of tax cuts and deregulation. By blocking these measures, the Democrats will be able to put an end to the super-charged US economy, stock markets and the greenback that has been created throughout 2018. Additionally, the policy-tightening path that the Fed has taken on could also be altered. “This will presumably put paid to any further tax cuts, which means in the longer term that the Fed will need to implement fewer rate hikes, which per se will have a negative impact on the US dollar,” stated an Commerzbank analyst. “President Trump may instead focus more on foreign policy, which is likely to generate additional uncertainty. Gold would profit long-term from both factors,” the analyst added. 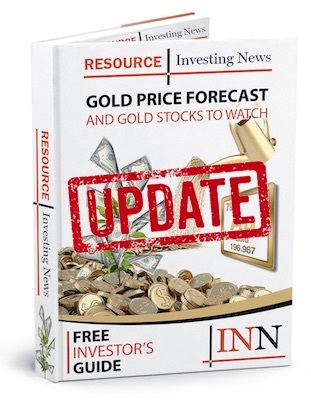 The yellow metal’s rally may continue on from this point as the election results could create an environment of political and financial uncertainty, which generally sends investors to seek out the precious metal as a safety net. “Traders in both metals have stepped in to buy the dips on some perceived bargain hunting, and by heavy short covering from the futures traders,” noted Kitco’s Jim Wyckoff. Moving forward, market watchers will focus on the two-day Fed meeting that starts Wednesday (November 7) afternoon. Investors will use the meeting to gauge the outlook for US monetary policy. The Fed will more than likely keep interest rates steady for now but may provide intel into a possible rate hike in December as well as an outlook for hikes in 2019. As of 11:35 a.m. EST gold was up 0.02 percent, trading at US$1,226.80 per ounce.